Choose between individual and group classes in alpine and cross-country skiing. Our ski instructors have recognised qualifications and licences and will take care of you during the course, while making sure that you acquire the skills to enable you to use increasingly faster skis. 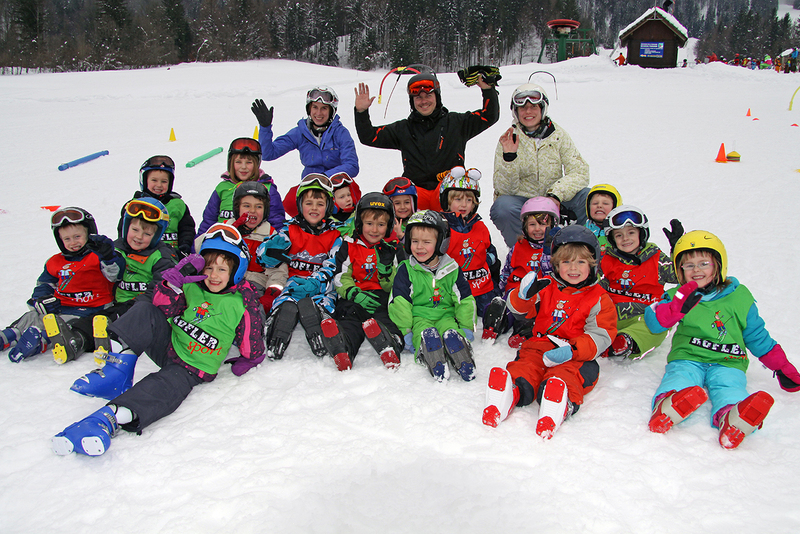 Ski school is suitable for adults and children over the age of 3½. We also offer multi-day courses on the ski slopes in Mojstrana, Podkoren and Kranjska Gora. At our ski school you can choose the date and time and we will do our best to adapt to your requirements. Our ski school individual hours and ski courses take place on the ski slopes in Mojstrana, Kranjska Gora and Podkoren. Upon prior arrangement lessons can also be taken elsewhere. Ski clothes, skis, ski boots, poles, helmet (for those that have their own). Helmets are mandatory for children. A 10% discount is offered upon the purchase of 5 hours in advance. We offer a 15% discount on ski service for participants of our ski courses. Reservations should be made at least one day in advance for ski or cross-country lessons.